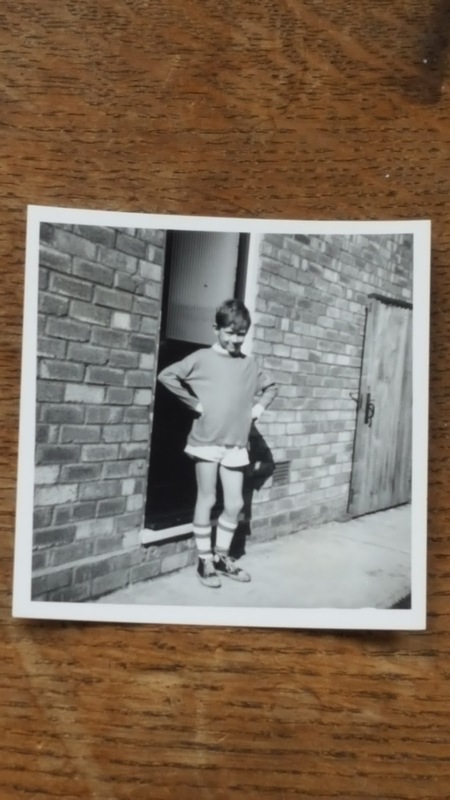 Although the primary school to which I was consigned from age eight to eleven provided a quality of education that ranged from adequate down to dismal, the standard of football played was considerably better, even half decent. Nothing was more competitive than the annual matches between the school ‘houses’ named after the planets, Mercury Jupiter, Neptune and Saturn. In my last year I captained the Mercury team to, embellished through my sepia-tinted memories, a stunning 4-3 victory over Jupiter in a tense final. Key to our victory was the performance of a hard tackling right-back, William Bentley. In my mind’s eye, there we all are with our arms around each others’ shoulders, bouncing up and down in jubilation and William Bentley is on the far left, part of the group but just slightly detached and he is looking across to seek affirmation from the rest. But I think that my memory is selective, separating him from us because of what I now know. At school William Bentley was undoubtedly a loner and I always felt that his school-life was made difficult because his father, allegedly a German émigré who had fled the Nazis, was the head of the school’s English department. In 1986, eleven years after leaving school, I was working as an outreach worker in central London. As part of our weekly routine we undertook to visit the Passage Day Centre for the homeless in Victoria. One morning as I was finishing a shift I came across William Bentley, alone at a table packing a rucksack. I started from the assumption that he was a Passage volunteer working with the homeless, but it quickly became clear that he was a user of the day centre, a homeless person. We talked briefly about school and what had happened in the intervening years. He told me that he had found it hard to settle and spent a lot of time hitching up and down the M1 motorway. It felt to me that he was restlessly seeking for some direction in life. Aren’t we all, I mused later in an attempt to rationalise our encounter. I concluded that his itinerant life-style was a temporary aberration. Later, when writing up notes of the session at the Passage for my outreach colleagues, I omitted to mention our shared history. In December 2010, a bout of brutally cold weather bringing snow and below minus temperatures persisted for almost two weeks and Thames Reach’s Street Rescue Team was exceptionally busy, helping people into shelters set up as an emergency response to the harsh weather conditions. Leaving the office late one evening I was waylaid by Eric, one of the outreach team. He asked me to speak to the man in reception who was waiting to be taken to a shelter. ‘He’s name-checking you - reckons you go way back’. The man looked exhausted; his face was grimy. He was slumped in a seat and struggling to stay awake. I asked him where he knew me from and he mentioned my home town. It was William Bentley, now more than 25 years homeless. I had been wrong about homelessness lightly brushing him before he found stability, companionship and security. Had I really known in 1986 that this was wistful thinking? We talked cheerily about school, the weather, shelters and the idiosyncrasies of life. It was difficult to pin down why William had been homeless for so many years. It seemed that at different times he had managed to settle for short periods in accommodation. But always something happened, bills couldn’t be paid, neighbours were difficult, relationships didn’t work out as expected. Then, to his consternation, he would find himself homeless again. It was no surprise to me to find out that our street team had met him sleeping rough not on the street with other rough sleepers but on the ‘bendy-bus’ night buses that transect London, notorious as night-time carriers of the desperate and rootless seeking warmth and anonymity. Before parting, I tentatively asked William whether his father, who had taught me English, was still alive. William’s response was matter-of-fact. ‘Apparently he died in 1987’. This short sentence, over-flowing with so much unstated significance scraped my brain like fingernails down a blackboard. We left it at that. Later as I got on the train to continue my journey home, a great glob of emotion rose up within me as I remembered the way we were. In the following days, I spoke to the outreach workers about William, aware that I was surreptitiously plotting his progress. I was conscious of a range of feelings which included concern for his well-being but also a sense of embarrassment about my association with him that initially stayed buried and unacknowledged. Secretly I felt irritated and a little ashamed about this. Almost 100 of my colleagues are former homeless people. I urge them to speak openly, even graphically, about how it feels to have been homeless and how they escaped homelessness. They are positive role models and we know that the experiences they have had can lead to a very special interaction between them and the service users they support. In essence, the experience of homelessness can become a potent force, inspiring remarkable progress in the lives of others. But William represented something very personal to me and I found myself murmuring the phrase, with conscious irony, ‘it’s too close to home’. 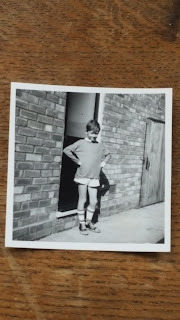 And I became icily aware that it is easier to speak about homelessness in hindsight – as once was but isn’t now – and more difficult when it’s still a current state and feels like – well, an indelible stain. I thought once more about those people I have known who sleep rough and work. Their lives are necessarily duplicitous. Usually they choose not to tell their employer that they are on the street and I understand how this is rational and sensible. Even if the employer is understanding and tolerant, with the imparting of this information future interactions become corrupted; everything done or heard filtered and re-ordered through the prism created by this shocking knowledge. There was a yet stronger emotion at work for me than embarrassment and this was guilt. It was something I had witnessed frequently in my contact with the families of rough sleepers. The ignominy of homelessness can create great pain for the nearest and dearest in different ways but I have always believed it is guilt which, often unfairly, makes the deepest cut. It remains inexplicable to most people that anyone should spend months or years sleeping in a shop doorway on cardboard under a thin blanket, and if they do that person must in some way be unwell, unloved or both. In 1987 I was working with a rough sleeper called John Hamilton who slept rough on the south bank of the Thames under the Queen Elizabeth Hall. John was a quiet, independent man who worked as a local authority road-sweeper. After many months of waiting we were eventually able to secure a council flat for him. Distressingly, within weeks of him moving into the flat he died suddenly from ‘natural causes’ though, as always in such circumstances, I wondered how much his rough sleeping life style had led to his death aged just 59. Slightly to my surprise it transpired that John had four children, one son and three daughters, all living in the United States and they duly flew over for the funeral. I met his son at our office. I remember him as a big man, also called John, sitting uncomfortably in his suit and tie, over-dressed for the unusually mild weather we were experiencing that spring. It soon became clear that John Junior had no idea what we did or of the nature of the relationship between his father and me. I gently explained that I knew his father ‘when he slept rough’ but this term clearly meant nothing to him. So I gave him the details. Your father slept out on the street in all weathers with dozens of other people. He queued up every night at the Salvation Army soup run. It took me many months to persuade him to come in out of the cold. He was a proud and independent man. By now John Junior had rocked forward with his head between his knees, palms of hands squeezing his temples. For a moment I thought he was going to retch. He looked up at me beseechingly, his pallid face covered in a sheen of sweat. ‘Please, please, please, my sisters must never know this’ he said. ‘We are a rich family. I have done well and have a flat in London. Dad could have moved in at any time’. At the funeral, I kept my side of the bargain and described myself as an old friend of John’s to the three tearful daughters. John Junior promised to send a large donation to Thames Reach. It never arrived and I was glad, because it would have felt as if he had bought my silence. Once again I go down to the room where our Street Rescue Team is based to speak to Gareth who is working with William. I don’t mean for my interest to make William into a special case, but I must know what is happening, it’s gnawing away. My studied nonchalance doesn’t fool Gareth. The latest news is that William was due to view a flat in the private rented sector but for various reasons the viewing couldn’t take place. Gareth is confident that William will soon be somewhere more settled. No longer will he have to resort to pretending to be a normal traveller on the night bus, grabbing slivers of sleep whenever he can. This friend of my youth. I’m aware as I listen that I’m tightly gripping the arm of my chair. I desperately want him to find stability and contentment. I want him to be fine and for everything to turn out right. Not for him – for me. Thank you Jeremy, that is powerful, thought provoking sharing on your part. Thanks Justin. Greatly appreciate your comments. Intend to do a blog shortly on what it is that enables people who have been homeless for years and seem to all intents and purposes doomed to a life of homelessness, escape this existence and lead fulfilling, happy lives. A chance to be upbeat for a change! Very interesting story to read. I read your columns in Inside Housing and I've just stumbled across your blog. While I may not entirely agree with your views on giving money to beggars and soup runs, I do understand where you are coming from. I am always moved by your reflections but also by your writing style which conveys powerful truths in a simple, yet straight forward way. I wonder if you do any creative writing at all? Melliemel - I wish I had more time for writing but there is the day job so it's just the blog and Inside Housing though I've had bits and pieces published elsewhere such as the Big Issue. Thanks for your kind words and these are complex issues which it is only right to disagree over sometimes. Hello Jeremy! I read with interest your account of school and re-aquainting yourself with "W.B." I assume you have changed his name in order to protect his true identity but of course that does not detract from the essence of your recollections and the obvious turmoil of the emotions you felt! I am an old friend of yours that goes way back.....past "wrothmond" and Rick Wakeman, past "shepherd's walk" and Donavan and indeed to that football game, which actually was in the juniors not the secondary modern. But no matter we are all over 54 now ha ha! our memories are failing and bits are dropping off...I have watched from a distance your career as you have been working for some time and in the public domain and I have felt some pride that you have got to where you have from our beginnings! you may have guessed who I am but maybe not? I even went to the sixth form with you and there our ways parted, regretfully for me. You have often been in my thoughts and I remember you with fondness, and your Mum,(R) Dad,(R) and Sister (L) I live in Devon now and will write again if you want me to...we can catch up or reminisce...cheers.......B. Hey - great to hear from you, even if you are not saying who you are. You know what, you could be right about it being a match from Junior school days, which is a bit disconcerting as I like to think my memory is sound. I have changed the name to protect his identity. Thank you for your kind words about my career which has never really felt like a career, as such. Despite my feelings about my education - and I undoubtedly have a chip on my shoulder about it - I have great memories of the people I was at school with. Would be great to know who you are. I'll go for a wild guess as you have put B at the end - Bill Tulip? Sorry to tease you but it is still in my idiosyncracies to play with peoples minds and present puzzles for them...but I knew you would get it pretty quickly. Yeh that would be great. Drop me an e-mail at jeremy.swain@thamesreach.org.uk. Hope things are good with you. Aren't you down in Devon somewhere?